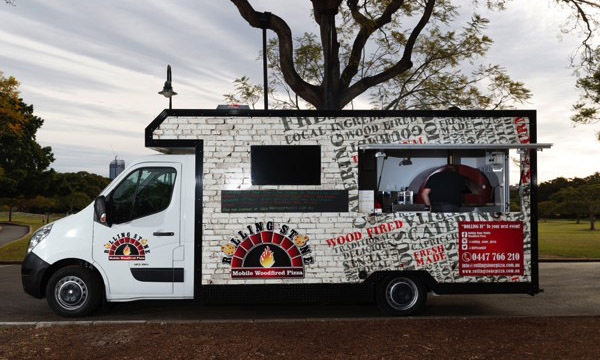 After operating their mobile pizza business Rolling Stone Pizza for some time out of a trailer, Jason and Dale have taken the next step and become food truck owners. 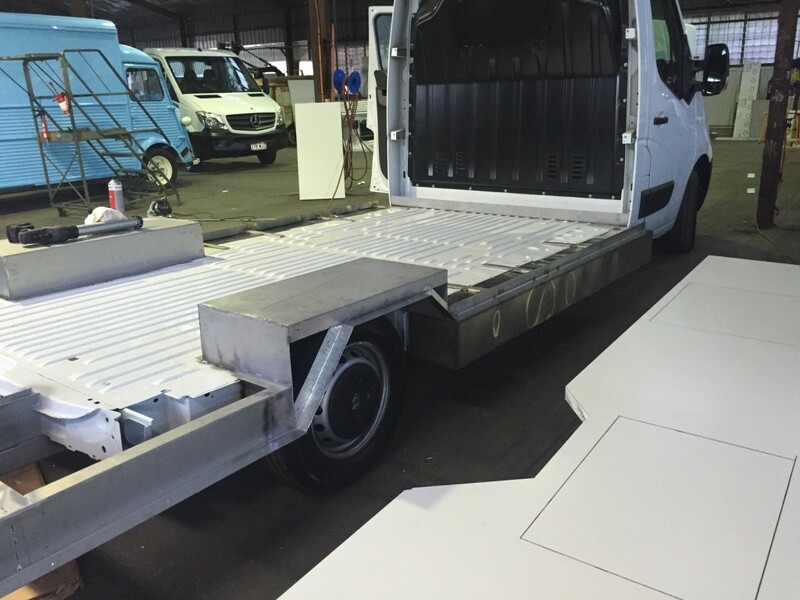 Jason and Dale brought to us a brand new Renault Master. 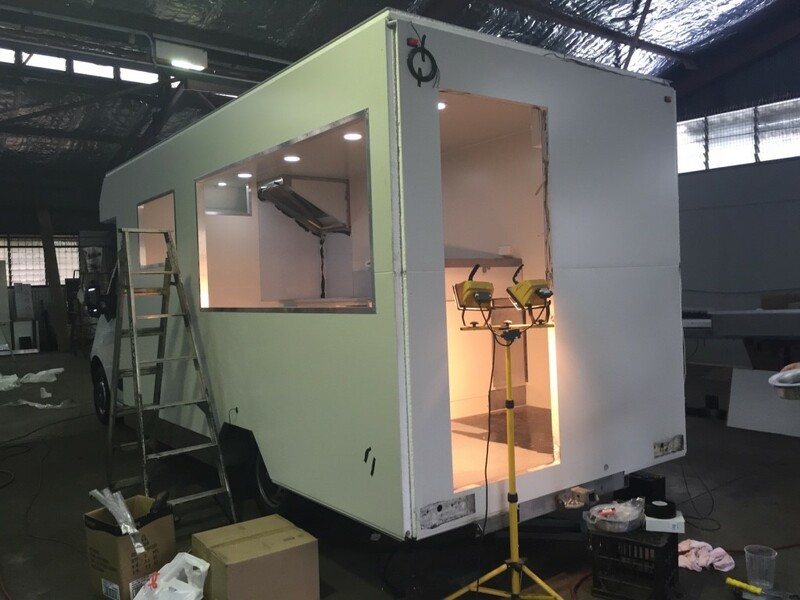 Anyone looking to build a new food truck should highly consider a Renault. 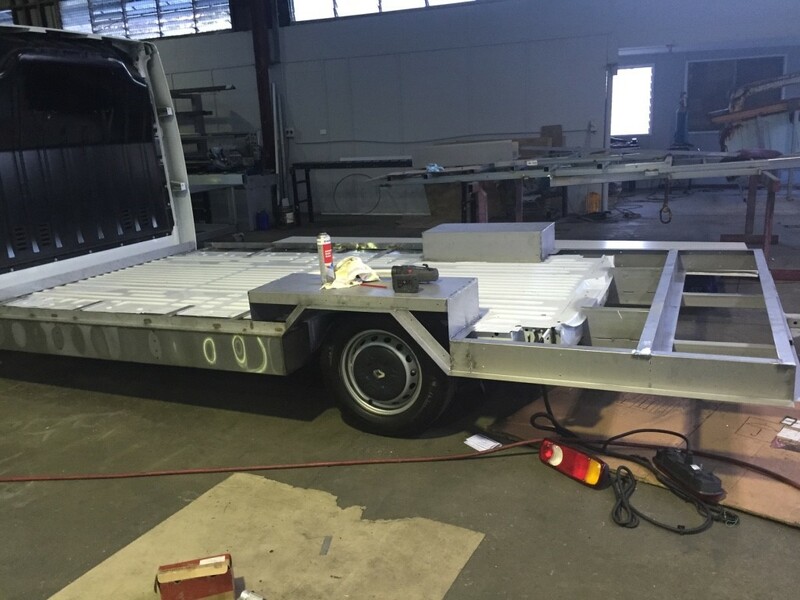 Firstly, they are much lower to the ground than other trucks, bringing you closer to your customers. 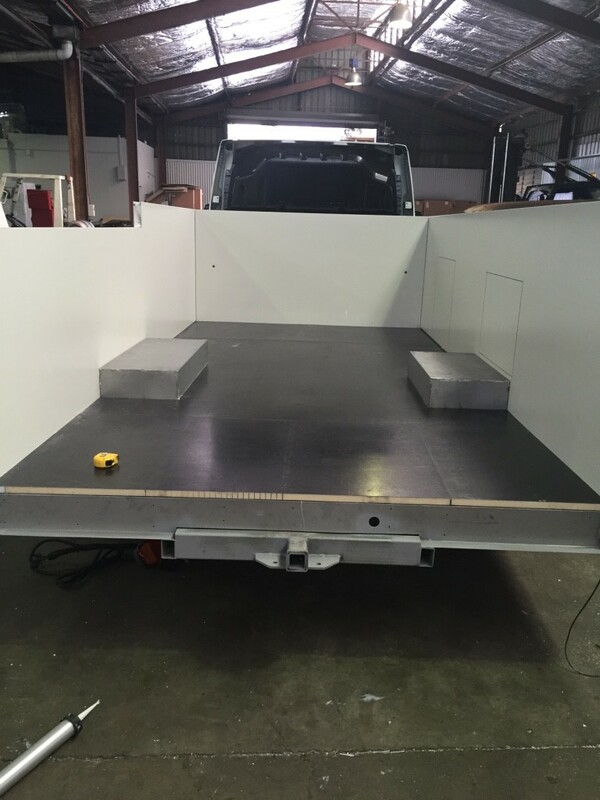 And secondly, they are considerably cheaper than other similar trucks on the market. 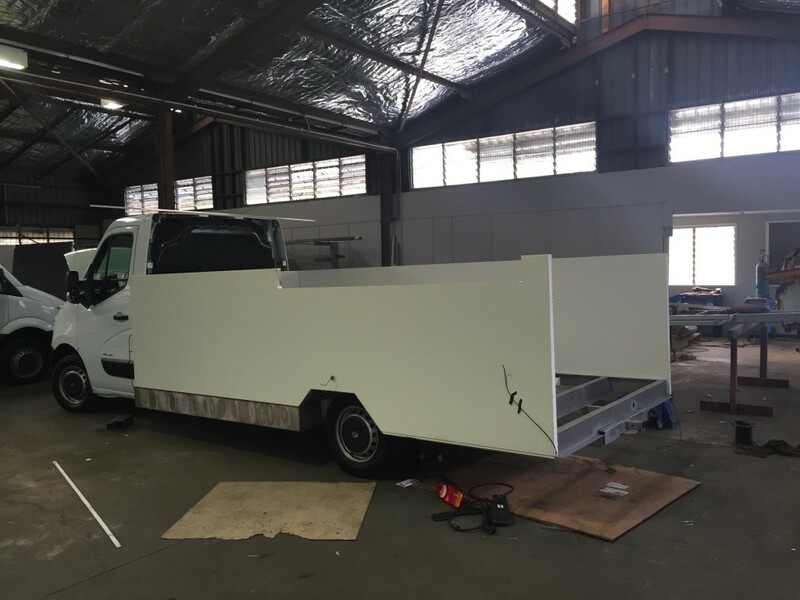 It seems the folks at Renault thought the Rolling Stone truck looked pretty fab – these photos were taken by Renault for their own promotional material. 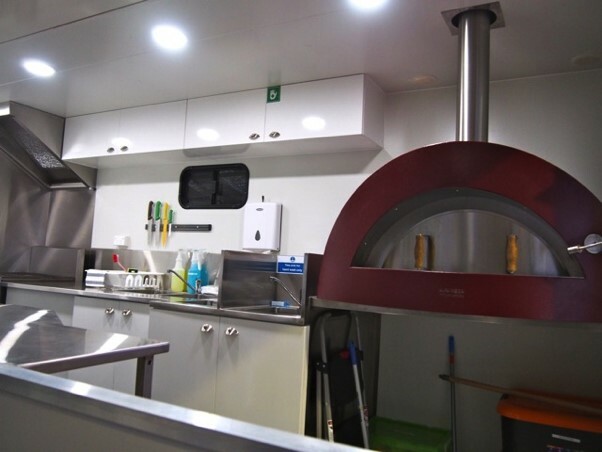 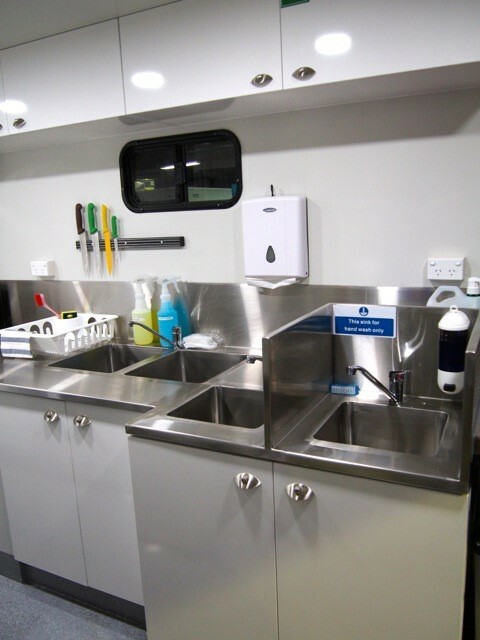 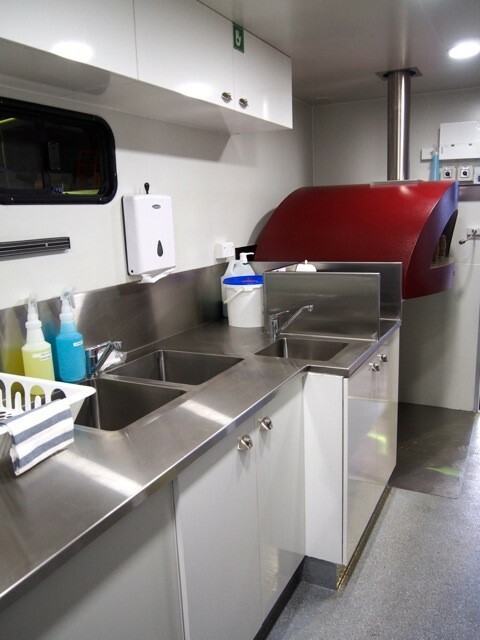 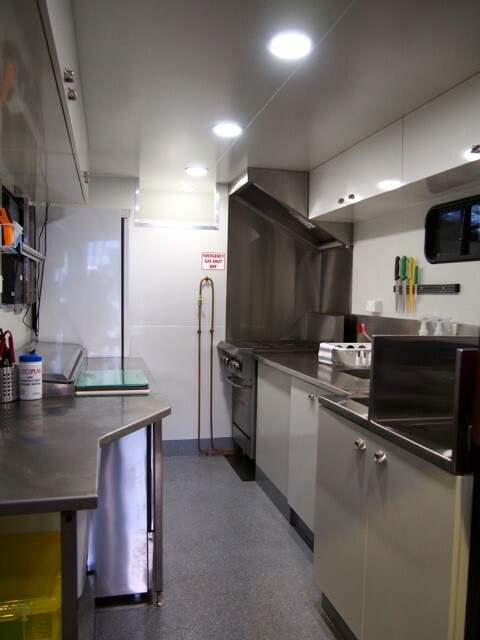 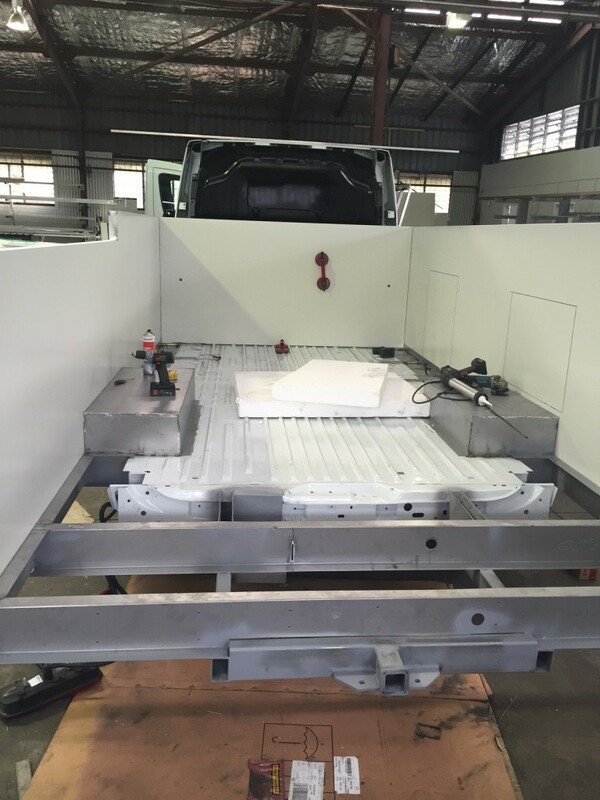 Built with a 4.5m x 2.3 x 2.2m food truck body with over cab storage compartment, a built in TV to display menu choices, a full commercial kitchen, and the piece de resistance – an Italian pizza oven that can cook 5 pizzas at a time and 18 pizzas every 15 minutes, these guys are sure to be pumping out pizzas like there’s no tomorrow. 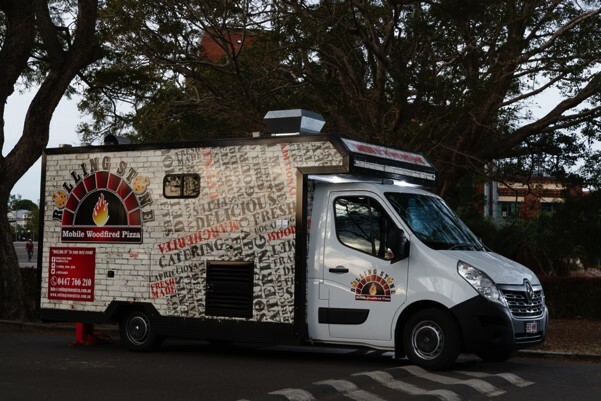 Rolling Stone are one of 20 food trucks taking part in the Brisbane City Council’s trial of food trucks in Brisbane’s public spaces.